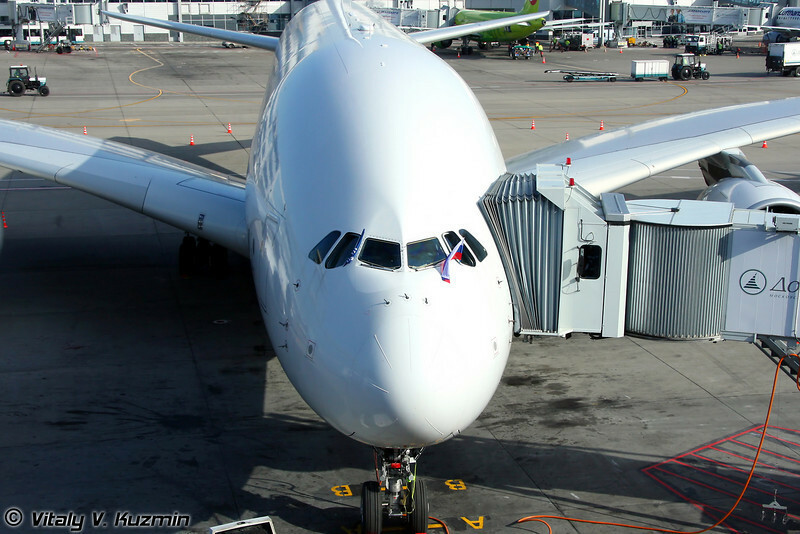 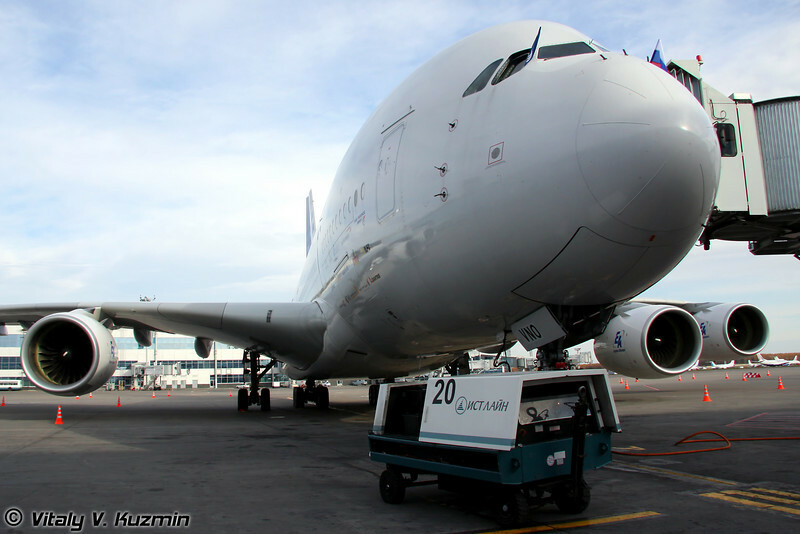 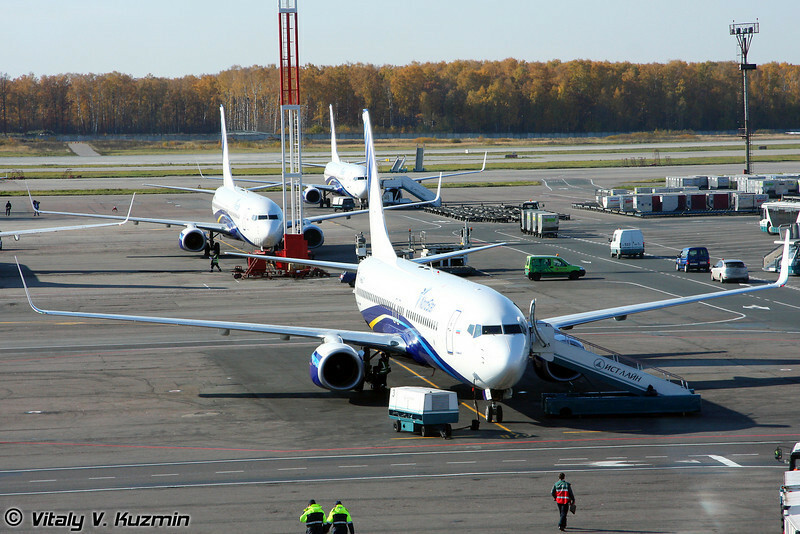 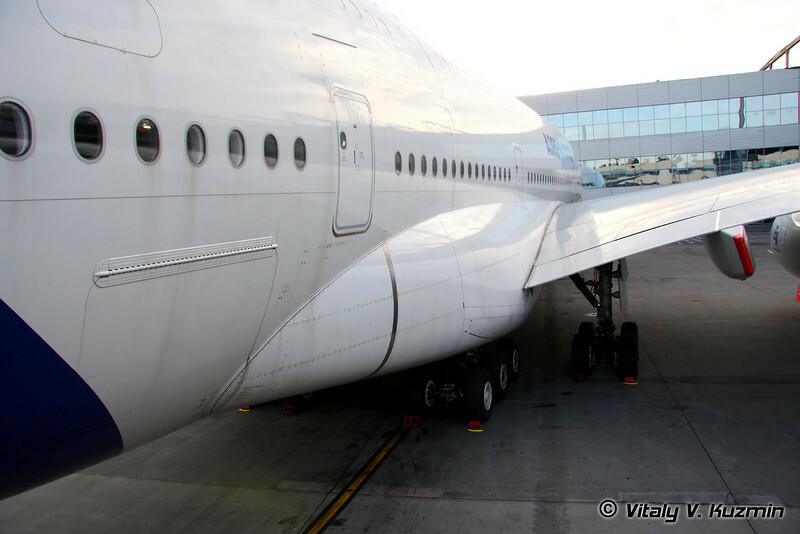 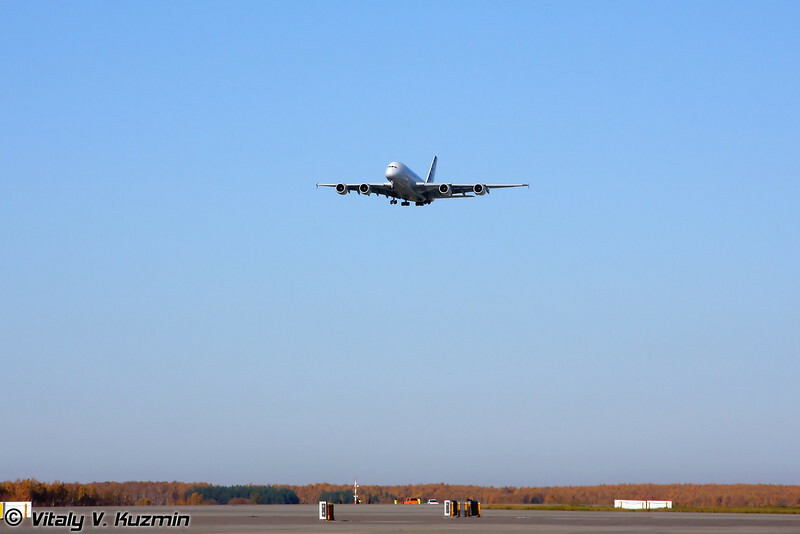 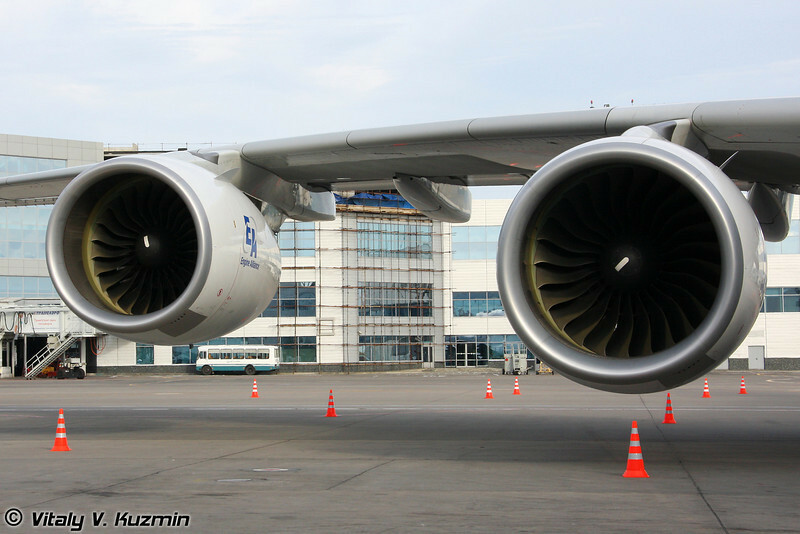 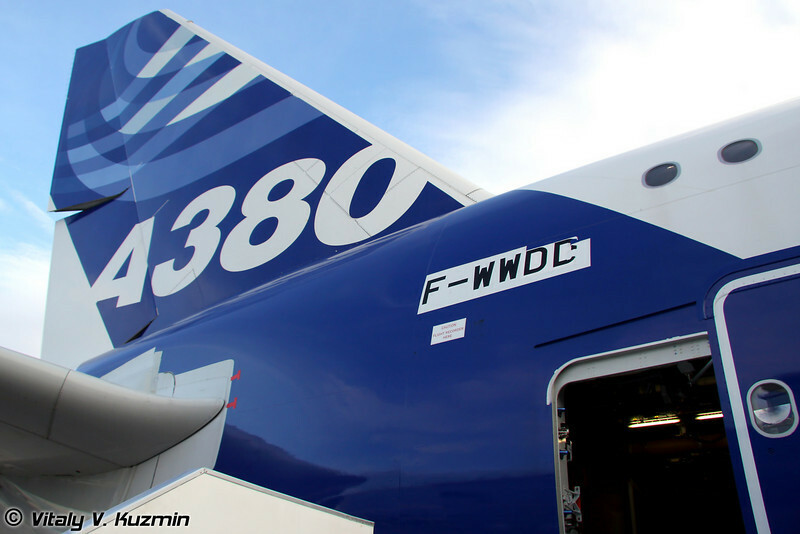 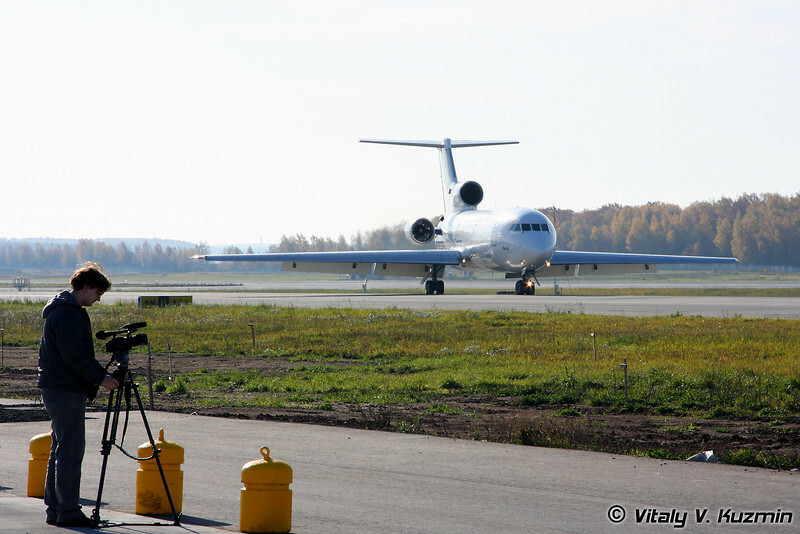 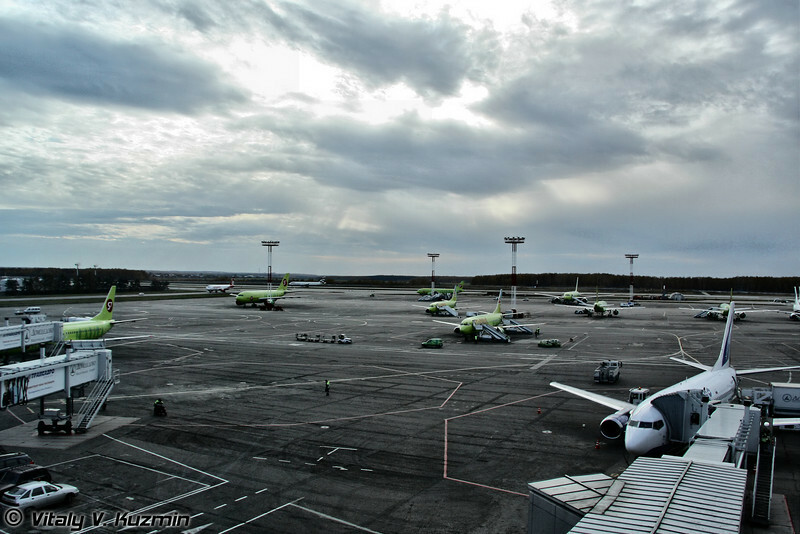 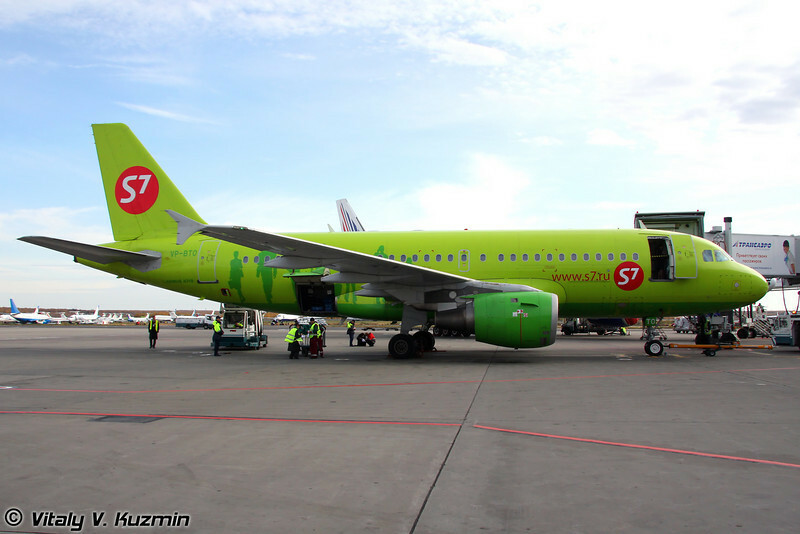 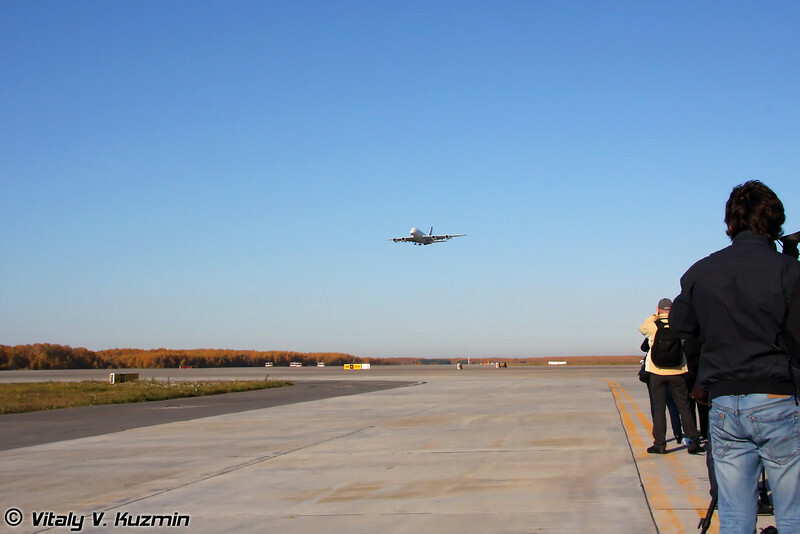 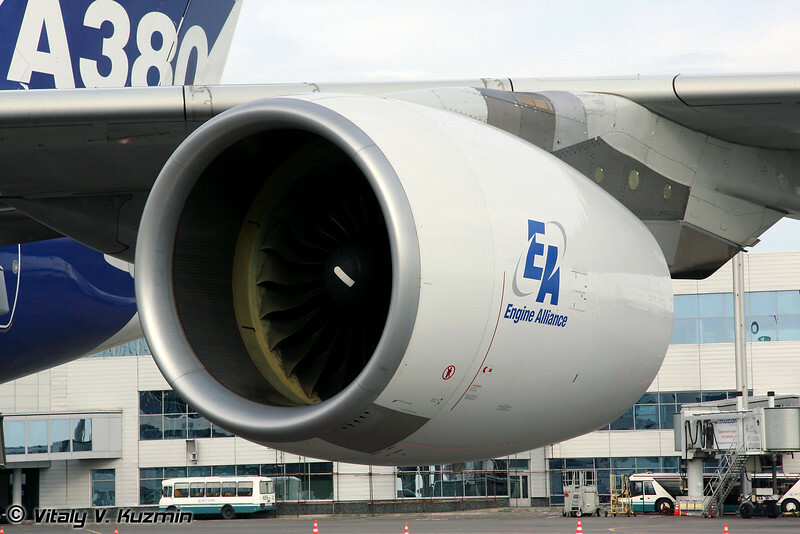 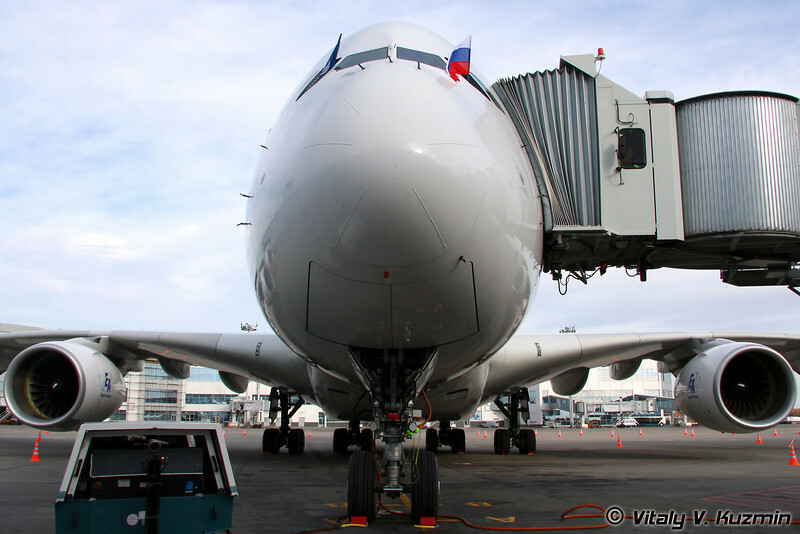 My photo report from first visit of A380 to Russia, including the pics inside the airplane. 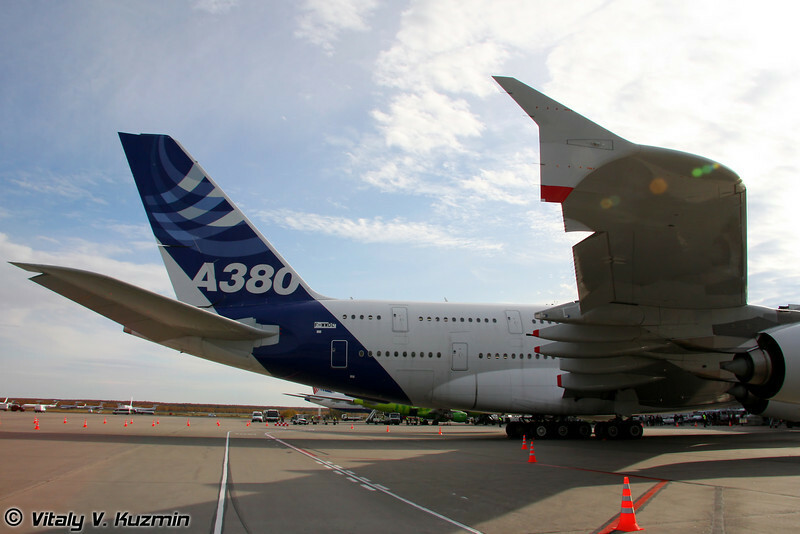 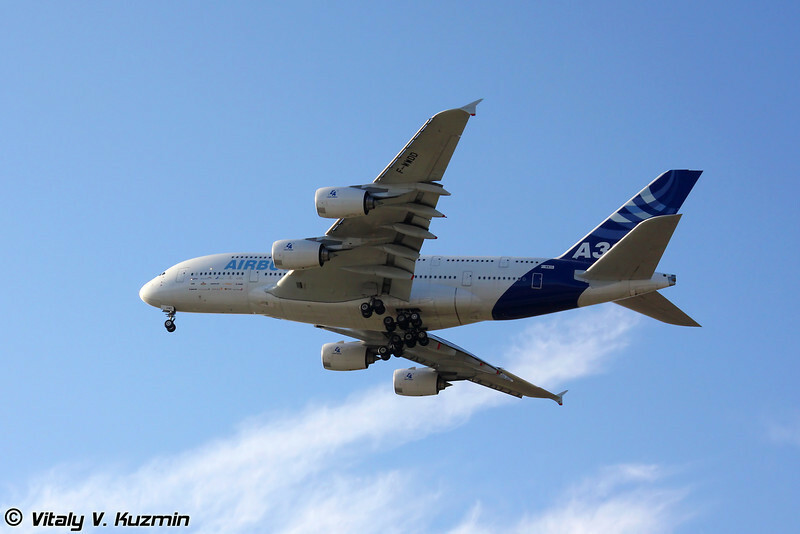 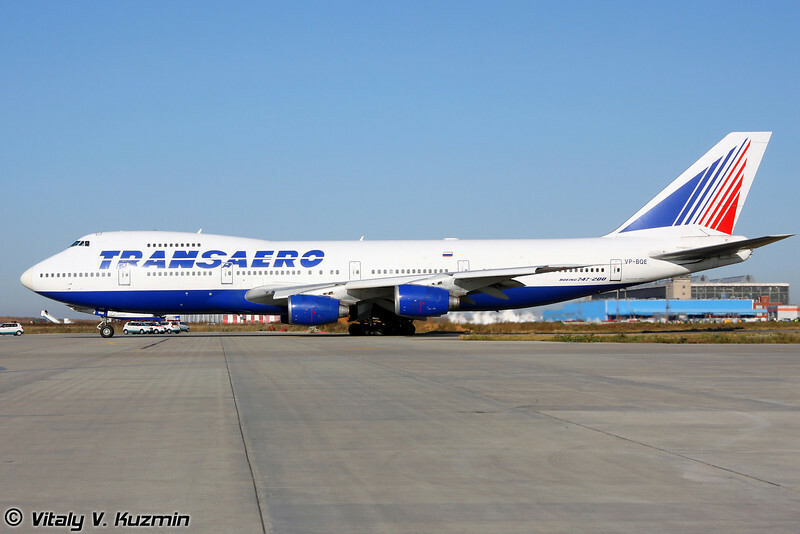 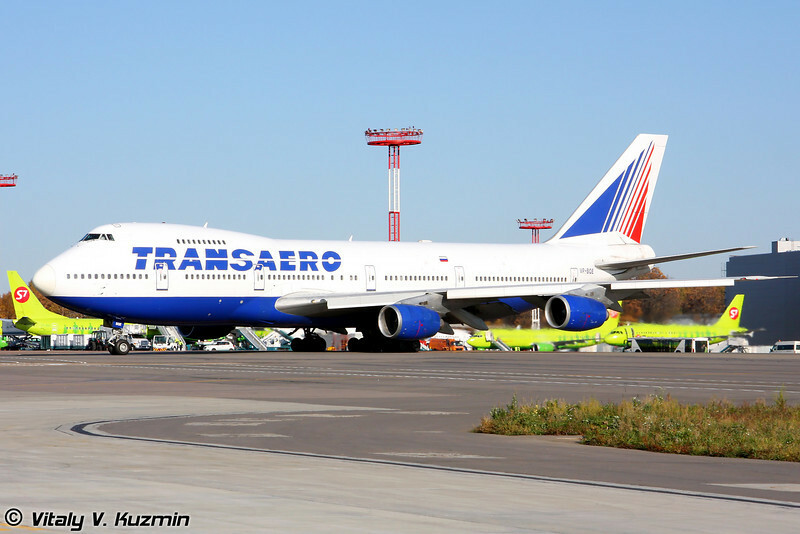 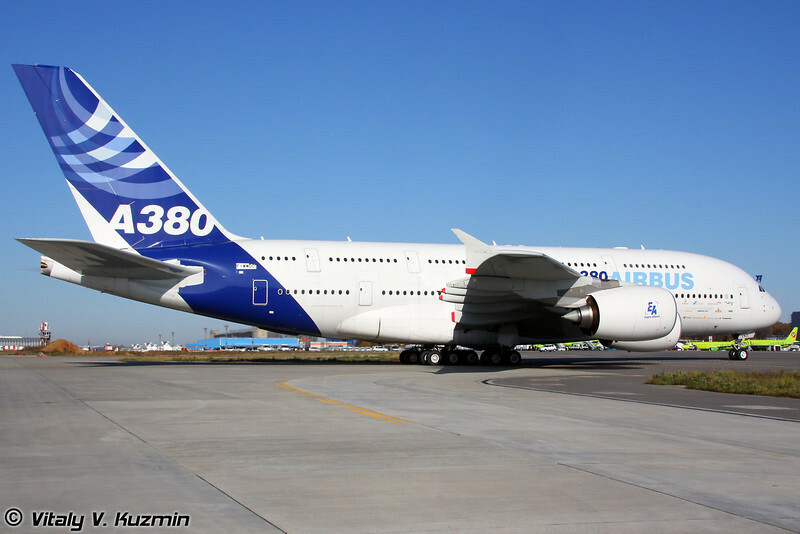 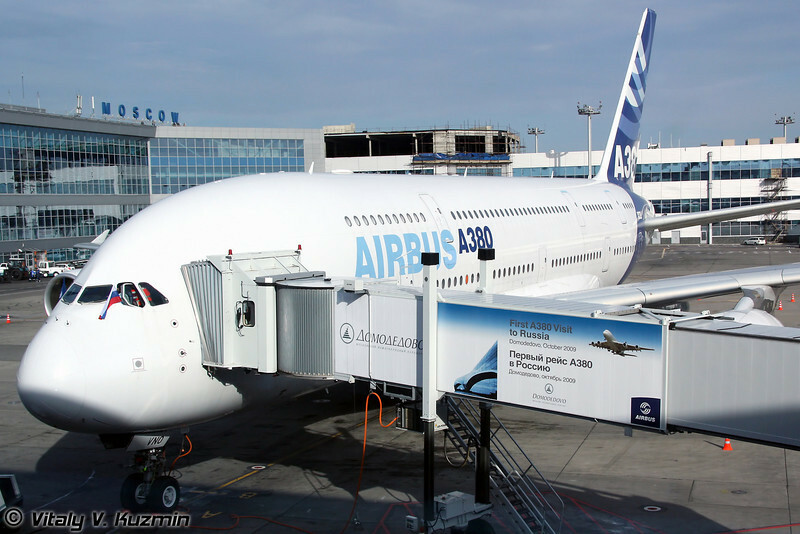 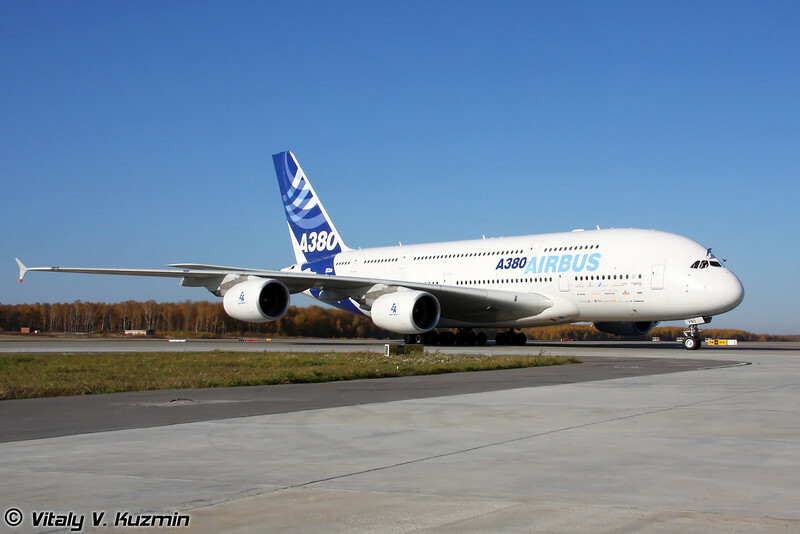 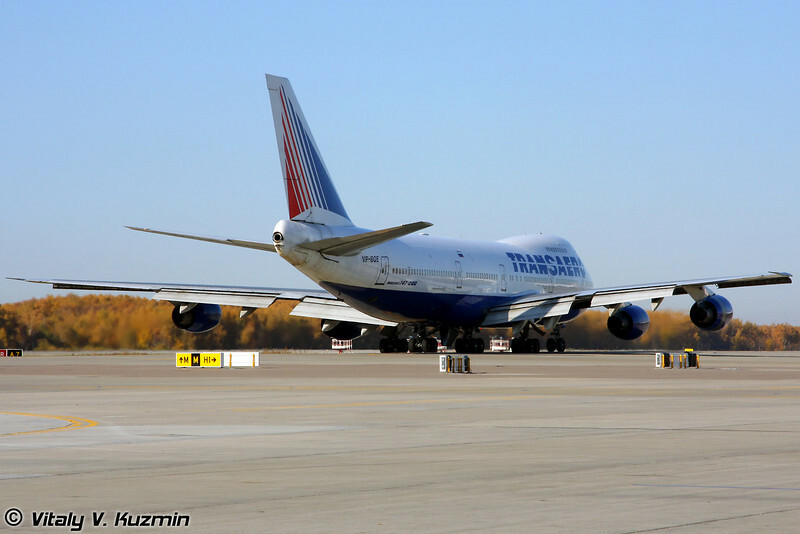 The world’s most advanced and modern commercial airliner, Airbus A380, made its first ever visit to Russia. 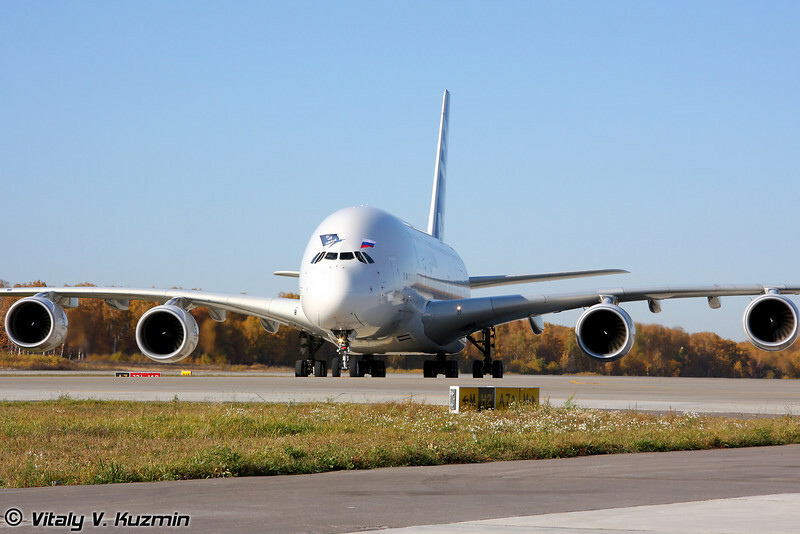 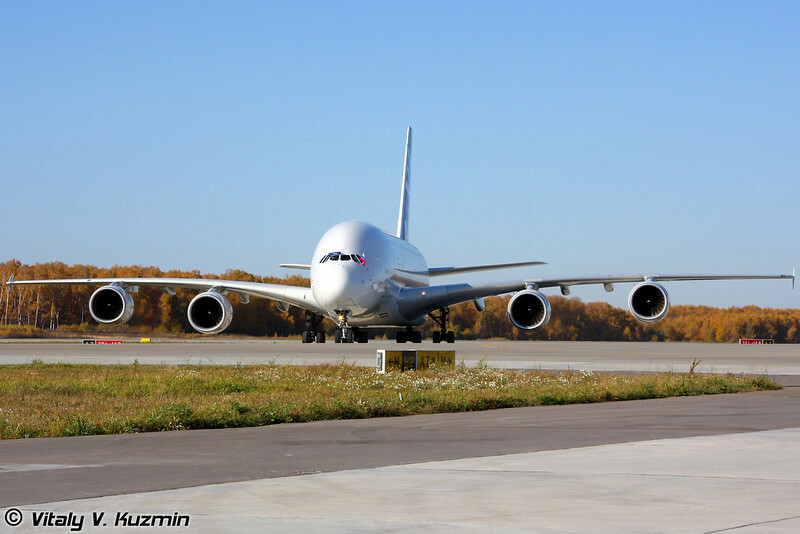 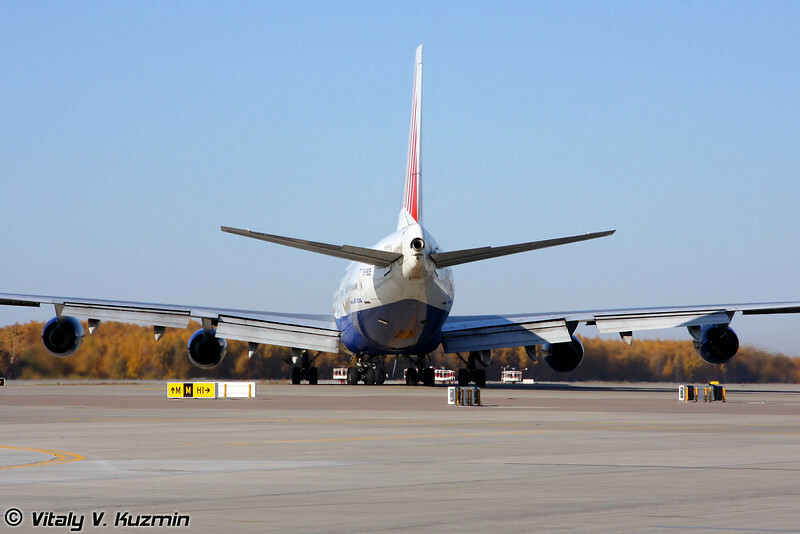 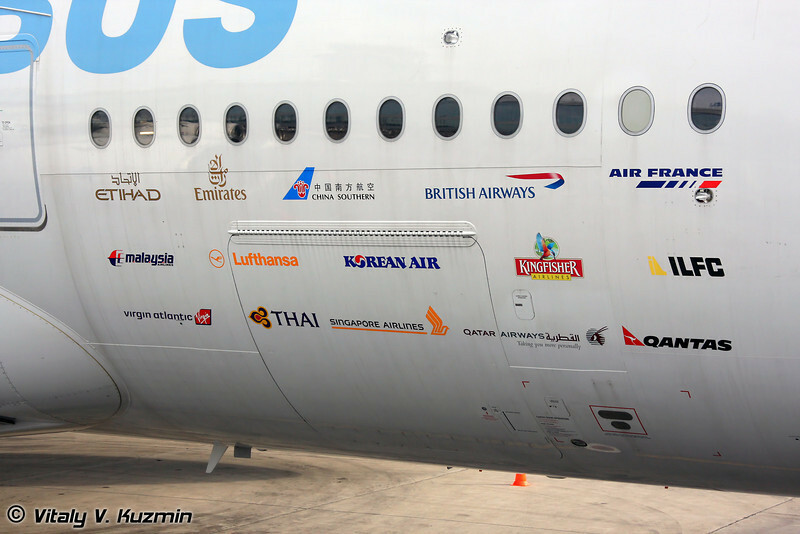 The A380 was scheduled to land on 16 th October 2009 at Moscow International Airport Domodedovo (DME) where it stayed till October, 17 when A380 continues its trip to Seoul for International Aerospace & Defense Exhibition. 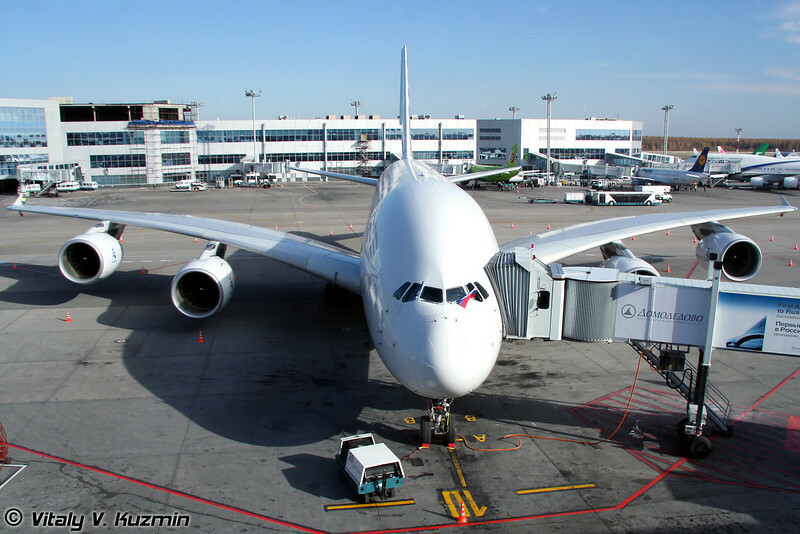 The visit demonstrated smooth and efficient A380 ground operations at DME airport and highlight the benefits for airports, airlines and passengers that the A380 offers. 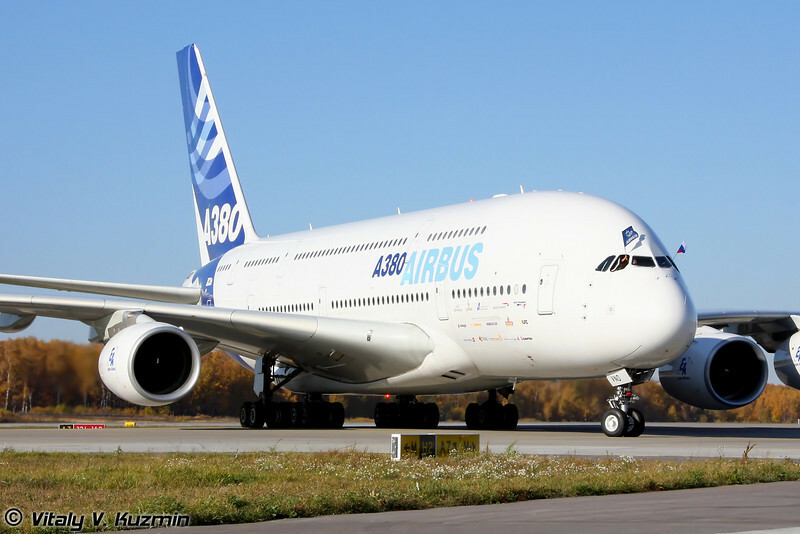 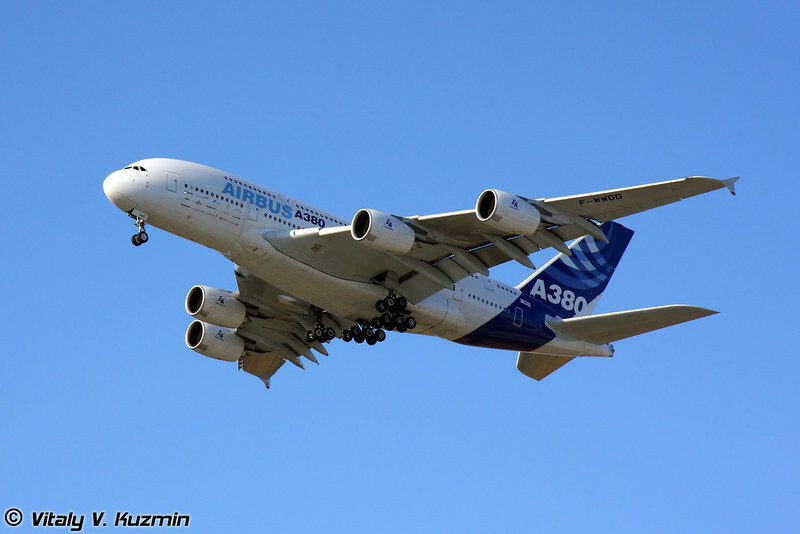 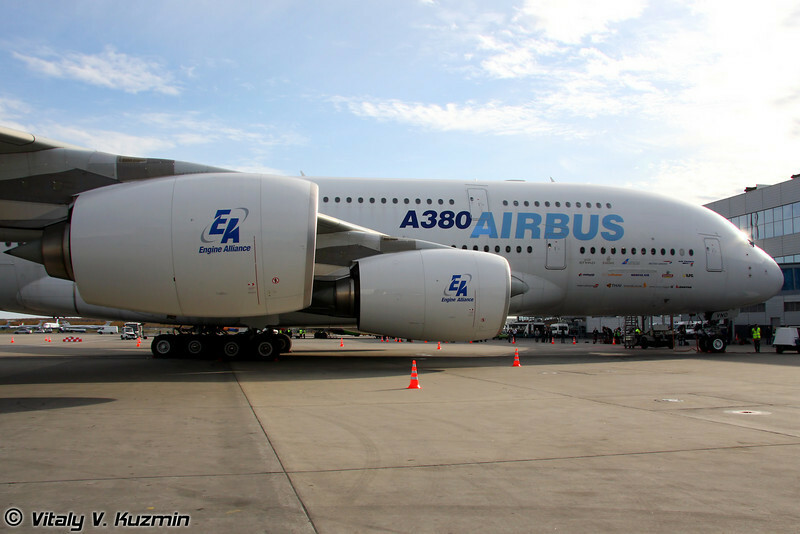 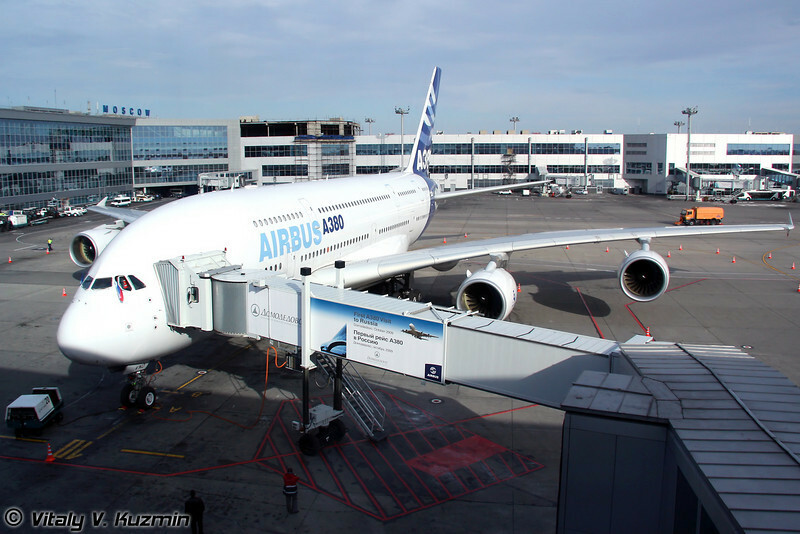 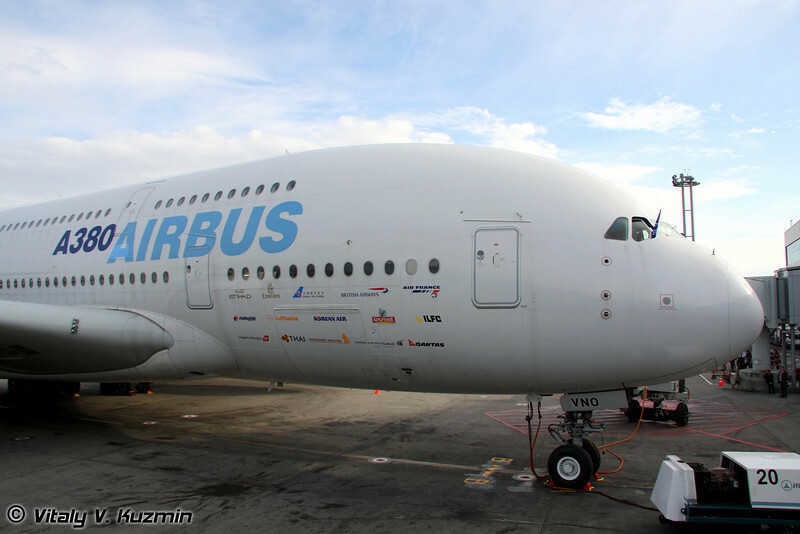 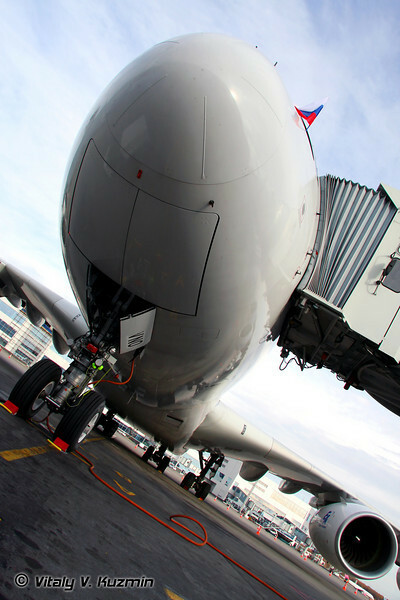 The aircraft is one of Airbus flight test aircraft (MSN 004) fitted with sophisticated test instrumentation and used in the A380 flight test and certification program. 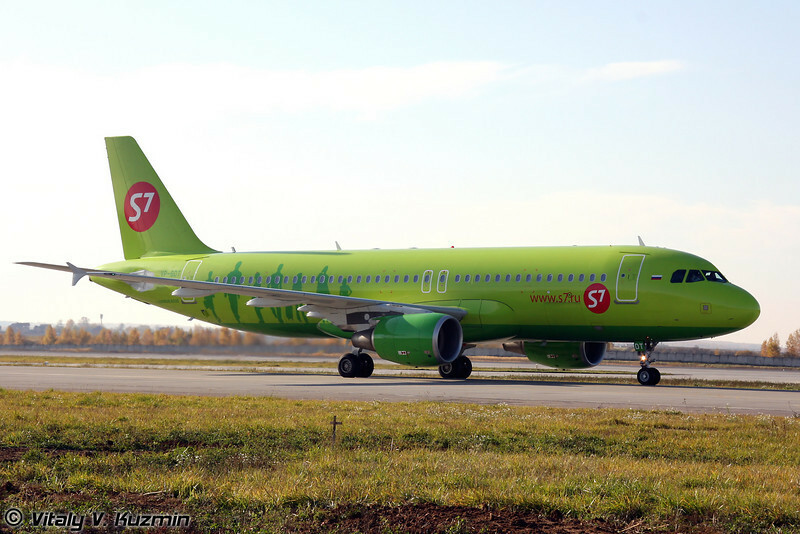 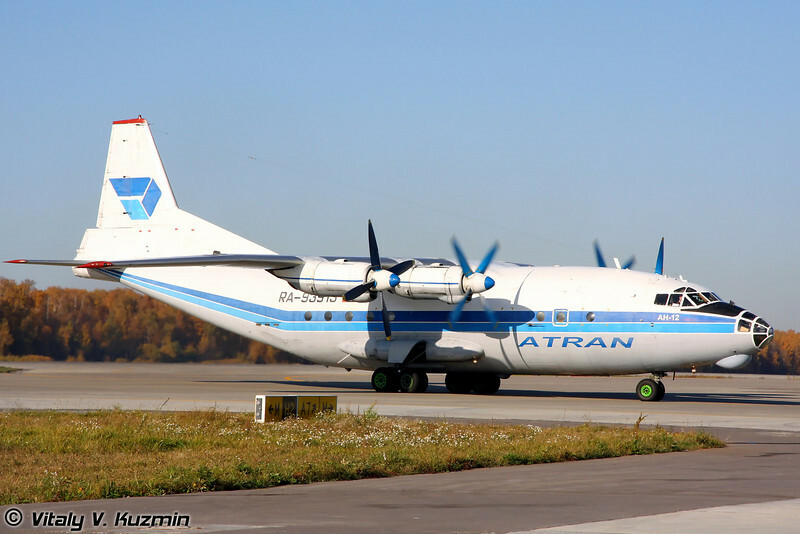 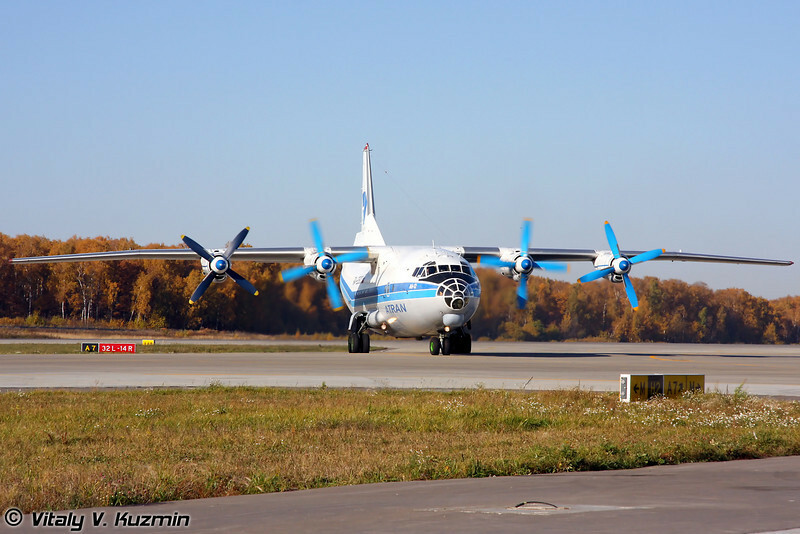 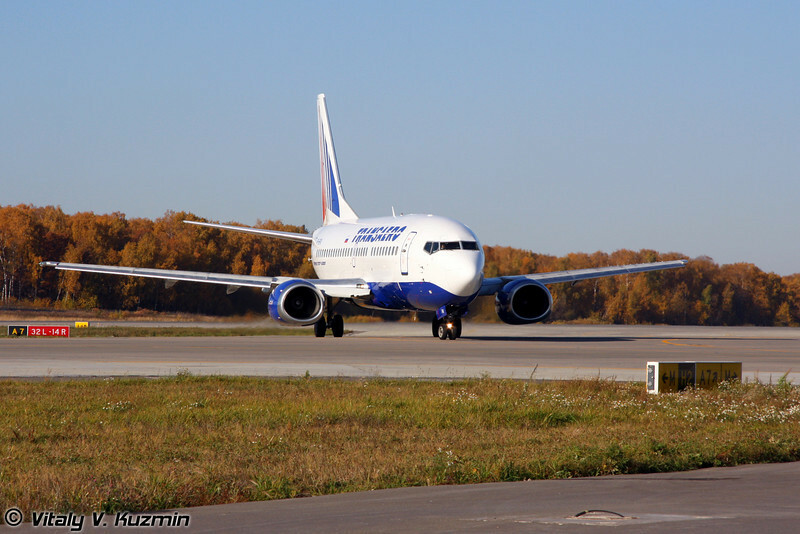 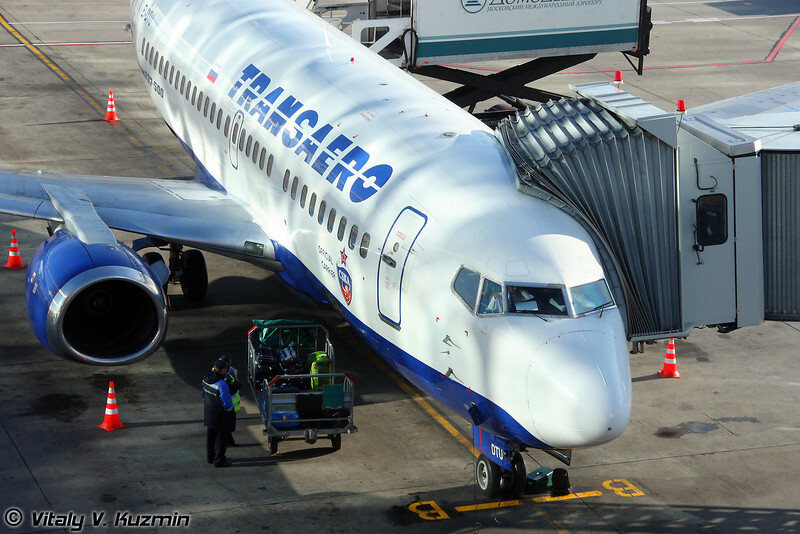 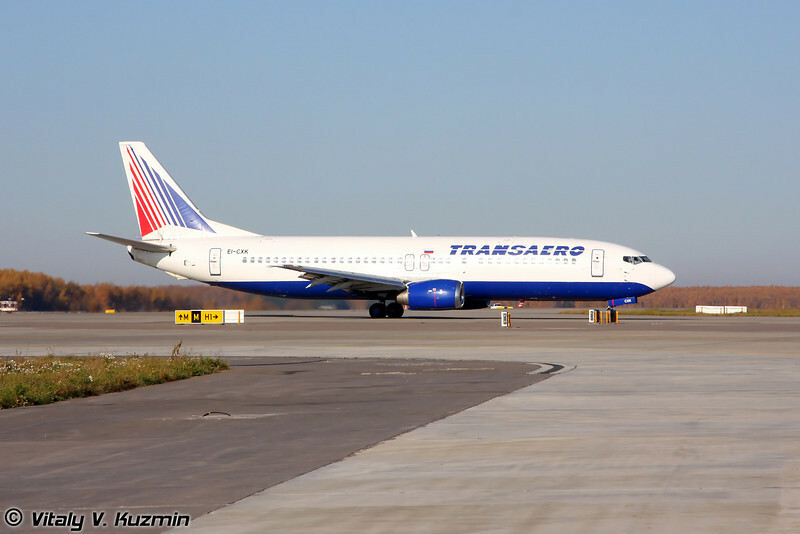 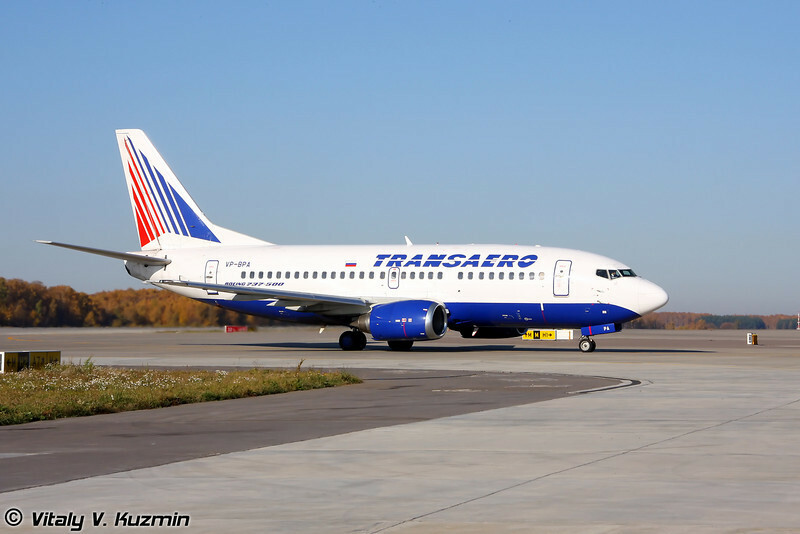 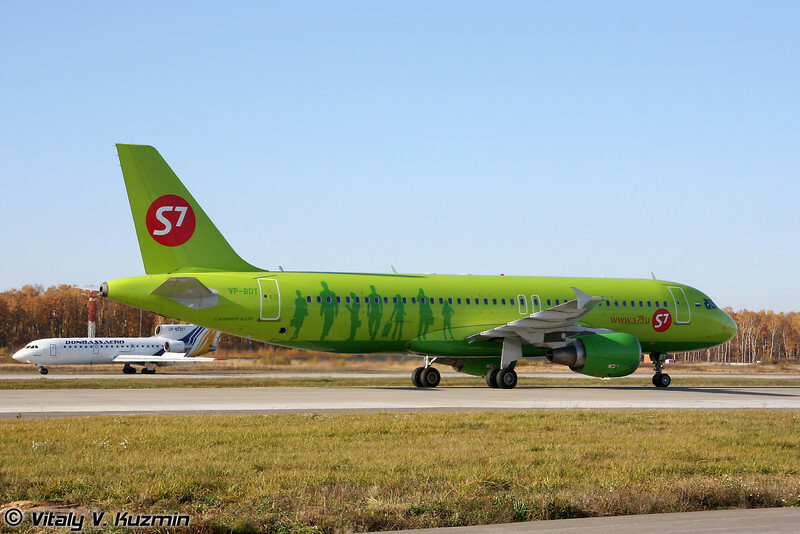 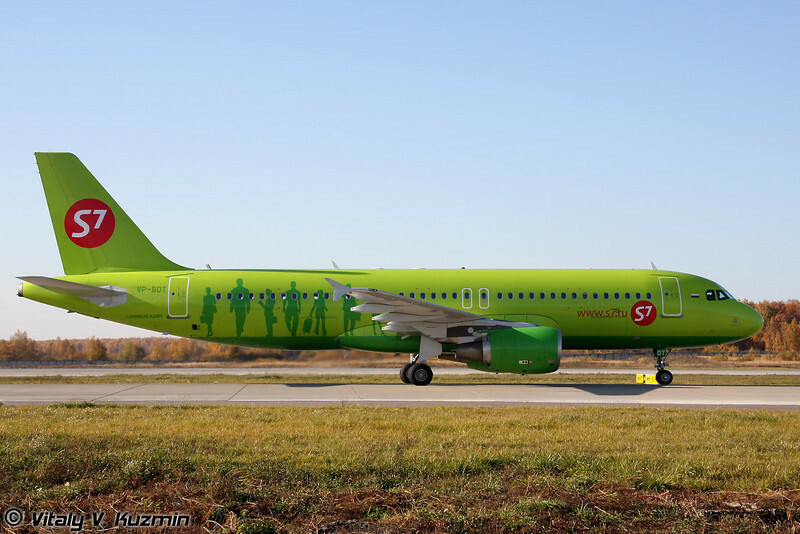 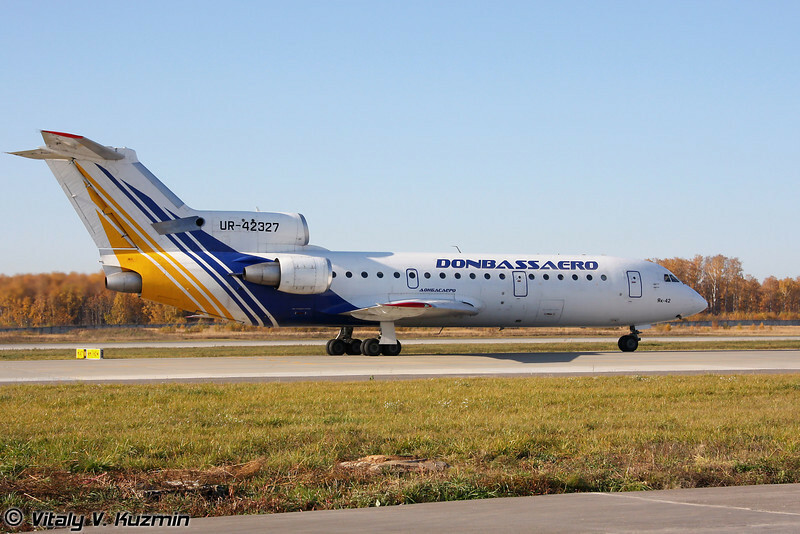 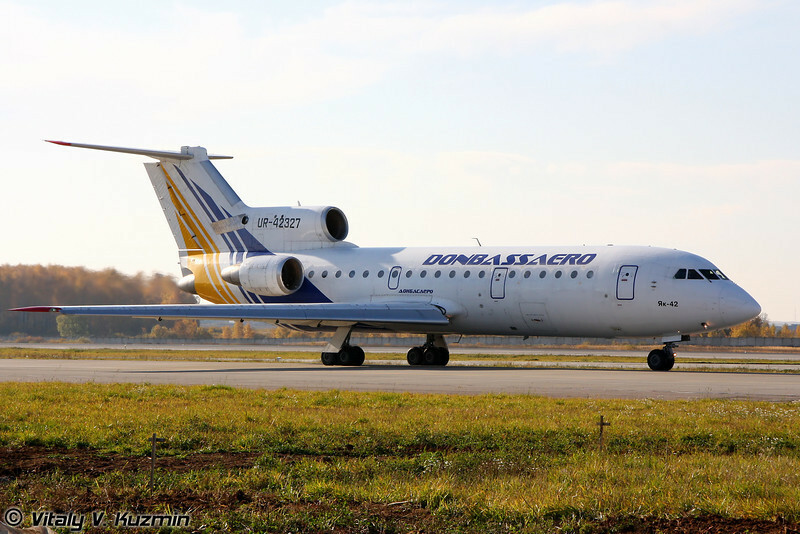 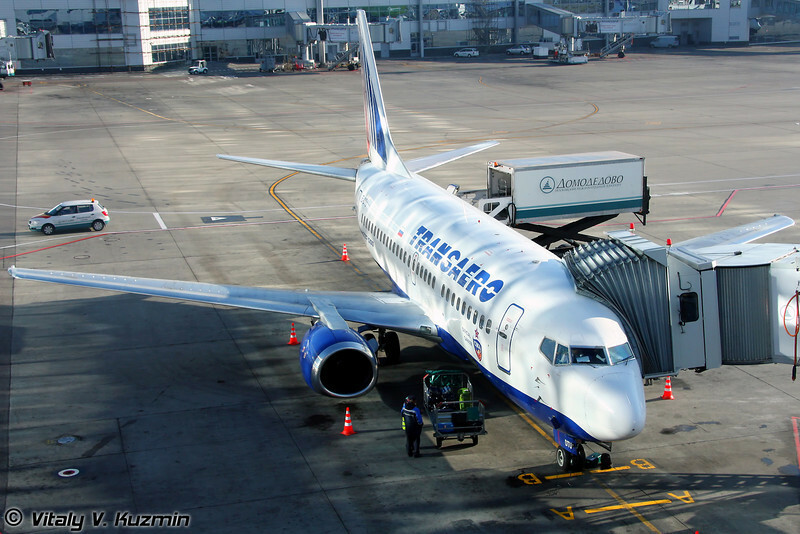 The aircraft is currently used for flight testing in the scope of product development and integration of new innovative equipments as well as for airlines’ pilots training. 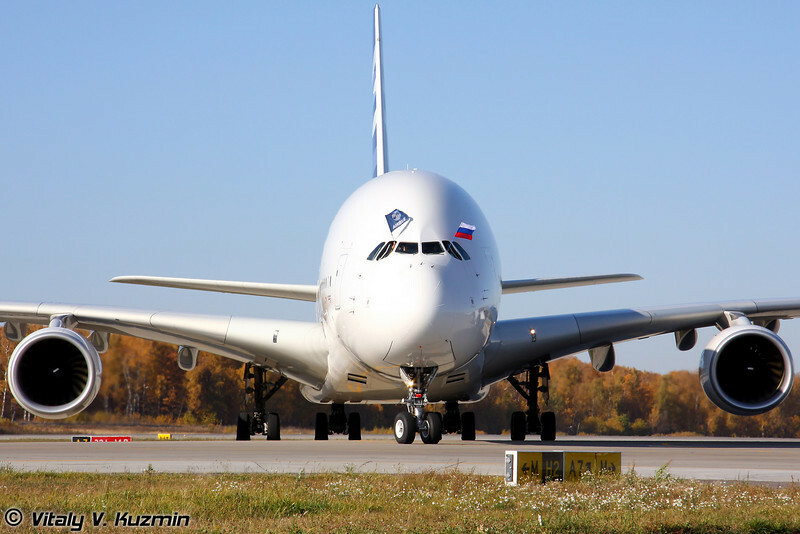 16 октября 2009 года крупнейший в мире пассажирский лайнер Airbus A380 совершил свой первый рейс на территорию Российской Федерации. 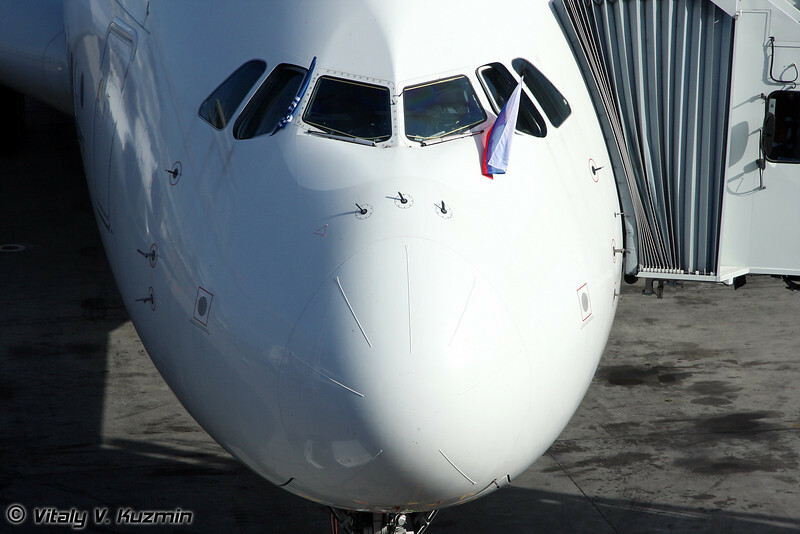 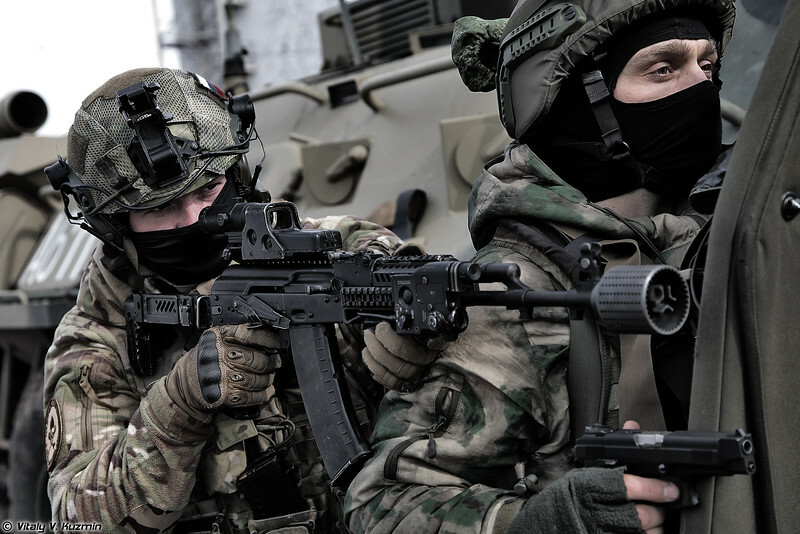 Он приземлился в Московском международном аэропорту Домодедово, где пробыл до 17 октября, после чего отправился на международную аэрокосмическую выставку в Сеул. 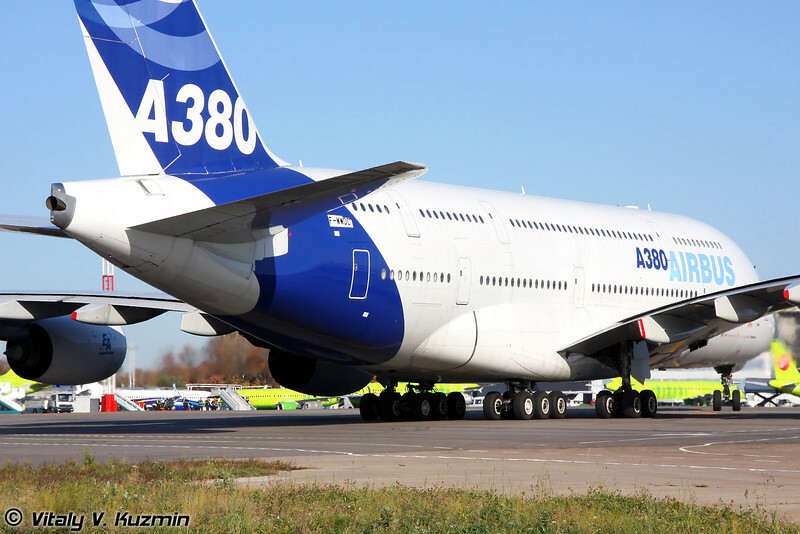 Во время пребывания Airbus A380 в Домодедово было проведено полное наземное обслуживание лайнера. 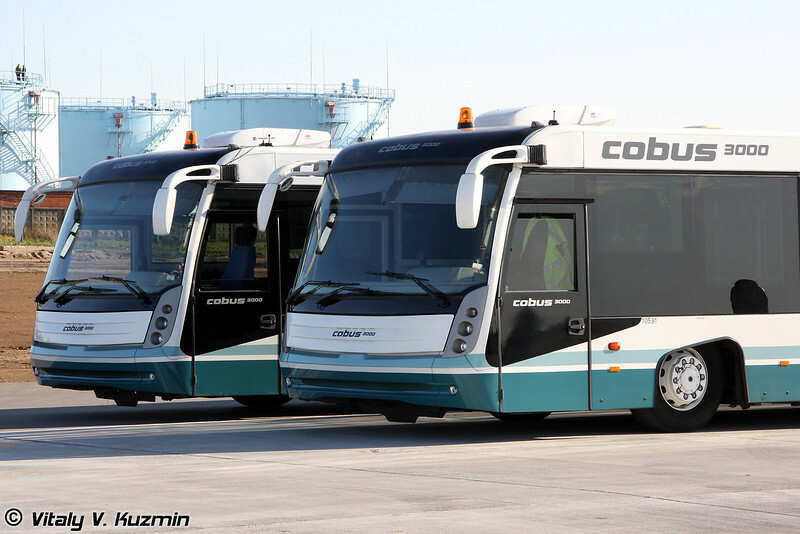 Визит призван продемонстрировать, что А380 успешно вписывается в существующую инфраструктуру аэропорта, и показать все преимущества этого самолета для авиакомпаний и пассажиров.